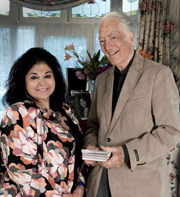 In Melbourne last week, we met long-time friend of Melba Recordings Maestro Richard Bonynge who talked revealingly about the importance of recordings to performers. 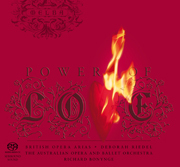 In this series of six CDs and one DVD, Maestro Bonynge collaborated with four great Australian Divas: sopranos Rosamund Illing, Deborah Riedel, Elizabeth Whitehouse, & Cheryl Barker; with Orchestra Victoria, Arcadia Lane Orchestra & the Australian Opera and Ballet Orchestra. Included in The Gramophone Classical Music Guide. A treat for lovers of Massenet’s sumptuous music, soprano Rosamund Illing performs arias that showcase the wide emotional range of Massenet’s perceptively drawn heroines. 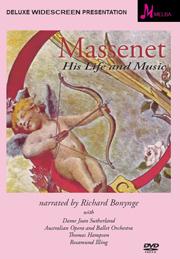 Richard Bonynge brings a depth of detail and nuance to Massenet's divinely crafted scores drawn from a lifetime’s passion for the French master. Read more and listen to audio previews. 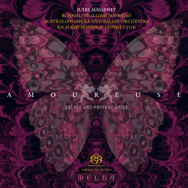 Directed by Scott Murray, narrated by Richard Bonynge and filmed in London, Paris, Rome, Brussels, Montreux and Sydney, this 55-minute documentary film on the life and music of Jules Massenet – the most popular and successful composer in Europe of his age – features Dame Joan Sutherland, Thomas Hampson, Rosamund Illing, Rodney Milnes and over a dozen interviews with world authorities on Massenet. The world-premiere recording of one of Richard Bonynge’s most treasured ballet finds – the first in the line of the great 19th-century romantic ballets and offers the first chance in over 150 years to hear this delightful and significant score. 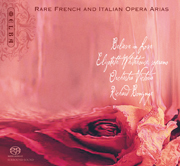 Featuring golden-voiced soprano Deborah Riedel, a selection of rare 19th-century British lyric opera arias by Balfe, Sullivan and Wallace including many world- premiere recordings. 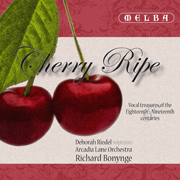 Surprising though it may sound, Richard Bonynge has conducted comparatively little Puccini, which accounts for the delectable freshness of approach he brings to this disc in a first collaboration with Cheryl Barker. 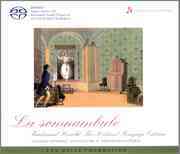 The last recording to be made by Deborah Riedel is a sumptuous collection of rare Italian, French and English arias from 18th and 19th centuries, many never before recorded. Whatever history’s verdict, this tuneful collection will appeal to all lovers of melody and with an outstanding contribution from Arcadia Lane Orchestra, it is difficult to imagine this fascinating journey into musical byways being more persuasively presented.